We know that many people play ZogSports in order to keep playing their favorite sports from childhood, but so many people join ZogSports for the social aspects, too: to have an organized and fun outlet to hangout with their group of friends on a weekly basis, to make new friends, and maybe even to meet their soulmate. The latter became true for Brenda and Colin Miners. 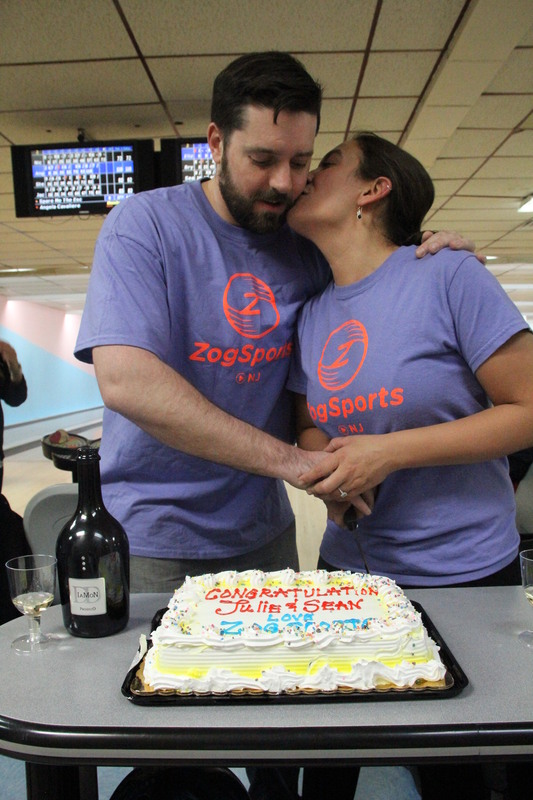 Check out their amazing story that proves they were meant to be, and thanks to ZogSports, they finally found each other! In the fall of 2010, I started a soccer team with a few friends. I had moved to NYC from Canada two years prior and I thought [ZogSports] would be a great way to meet new people. In order to fill up the roster, my friends invited their friends who invited their friends, and that was how Colin was introduced onto the team. As we slowly got to know each other every week after the games, we realized how much we had in common. We had both graduated from the same school, the University of Waterloo, but in different years. We had both completed internships in NYC in finance. He even worked with an old roommate of mine at one point and claims to have visited our apartment but I wasn’t home (3 years before we officially met). A few years after we started dating, I found a picture of the two of us at a poker tournament back in Canada, sitting next to each other, and the picture was dated July 5, 2005. We’ve been loyal members of ZogSports since that fabulous fall of 2010. Through ZogSports soccer, and the continuous cycle of friends bringing in more friends, we found our family away from home. So many special friendships and bonds were formed through our weekly games, all of which we carried off the field. Some of our friends have come and gone, not only from our soccer team but from NYC. 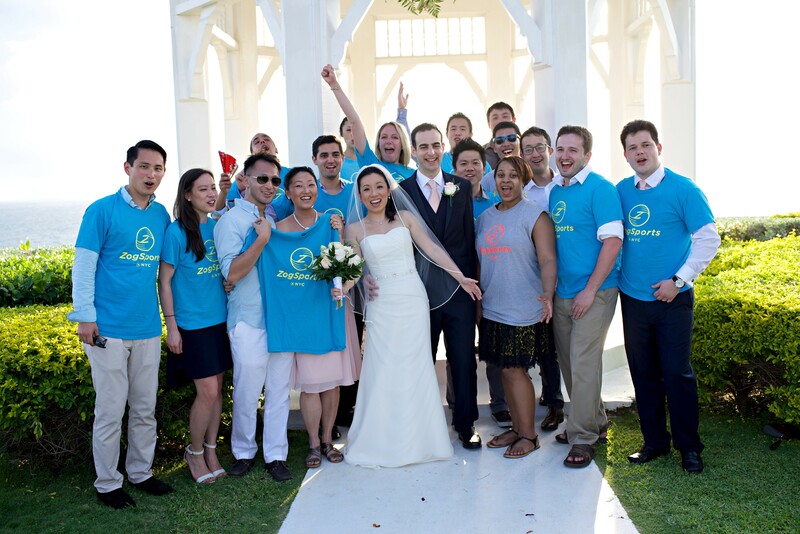 We were thrilled to have a reunion and celebration at our wedding in Jamaica on April 12, 2015. Funny thing is, I’m not even any good at soccer! But we all have so much fun, it doesn’t matter. We love this story! Congratulations, Brenda and Colin, and might we say you all look dapper! ZogSports is the best mix of sports and social. Whether you’ve been playing for years or never played before, your new best friends, and maybe even your lifelong partner, are waiting for you! Join a team now at www.ZogSports.com. Have you experienced a highlight through ZogSports? We want to hear about it! Tell us at highlights@zogsports.com. 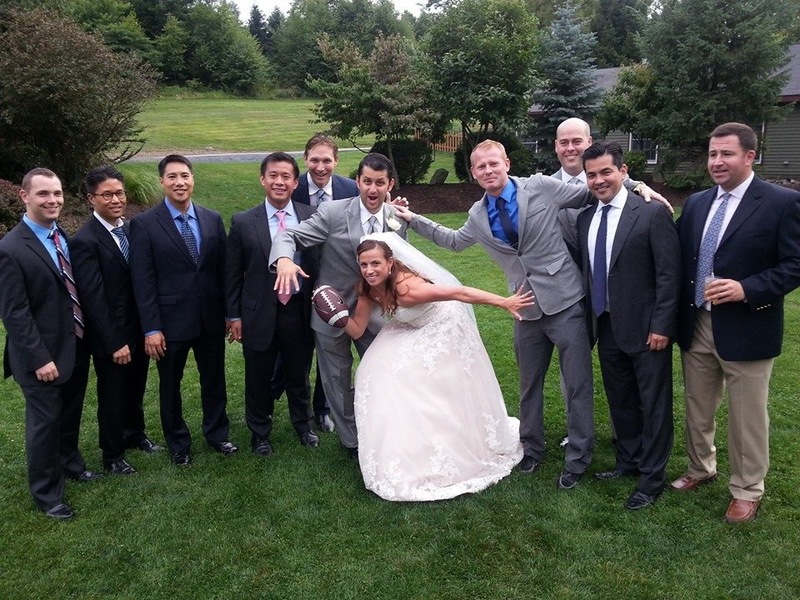 Meet Chris and Jesse: Newlyweds who met 3 years ago on a ZogSports Football team. Jesse and I got married last Saturday. We met back in 2011 when she joined our football team (cell block 4). I was on the team since fall of 2009. After she joined the team, a mutual friend brought her to ninth ward before the season started to introduce her to everyone. It was a Friday and I was hungover from Thursday kickball, but for some reason I knew I had to go. That’s the night I met her, and it was love at first sight. She met all of my friends (we have several teams in several leagues, including kickball, dodgeball, etc. – which she also played intermittently over the past few years). So here we are – married for 5 days, and all of our friends from Zog were at the wedding too! In fact, Shaun Saunders (who I met when our team first formed in 2009) was one of my groomsman and gave the toast. He’s my best friend to this day, and I was the best man in his wedding in April – so as you can tell, ZogSports has had a huge impact on my life! ZogSports is not just about playing sports, it’s about bringing together teammates and soulmates. Thanks for sharing your story with us. We wish you the best!